With unmatched style, selection and craftsmanship, Provenance® Woven Wood Shades are perfect for today’s casual lifestyle. 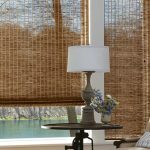 Hand woven from select natural bamboo, wood, reeds and grasses, they they are uniquely textured to add a casual dimension to the any room. 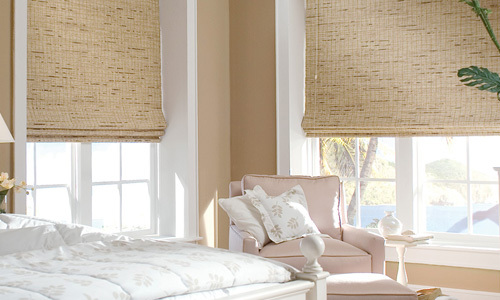 Provenance Woven Wood Shades provide superior quality over similar products on the market. 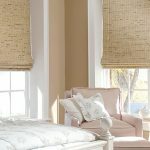 Durable – Provenance shades feature only 100% polyester 5-ply yarns to minimize stretching, breaking, and fading while competitors use thinner poly/cotton blend yarns that can degrade when exposed to UV rays. Strong – Each fabric pattern is carefully woven with multiple yarns for strength and durability. Many competitors use only one yarn, which makes their shade susceptible to failure. Minimized bowing – All fabrics are engineered to minimize natural twist. A common issue with bamboo material is bowing, Provenance woven wood bamboo fabrics are made to minimize bowing. Color-coordinated hardware – Provenance shades use color-coordinated hardware, components and headrail that are more stylish than competitors unfinished head rail and brass only hardware. 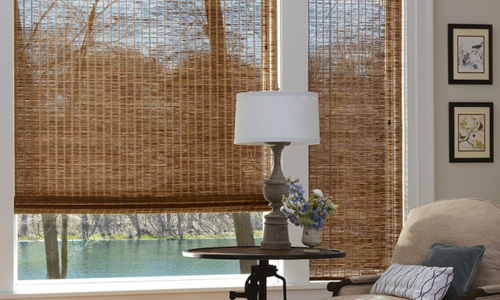 Edge banding – Edge banding gives you the freedom to customize your shades by combining fabric textures and colors. 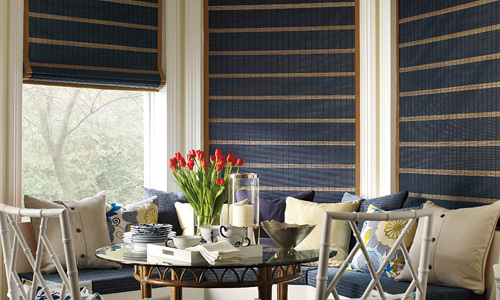 Not only does it allow you to create your own unique shade, edge banding helps tie together all the colors of a room. Operating systems – There are many options to choose from, including clutch operated shades, continuous cord loop system, Top-Down/Bottom-Up shades, specialty angle-top shades (for slanted ceilings or to create a dramatic effect), as well as motorized options. 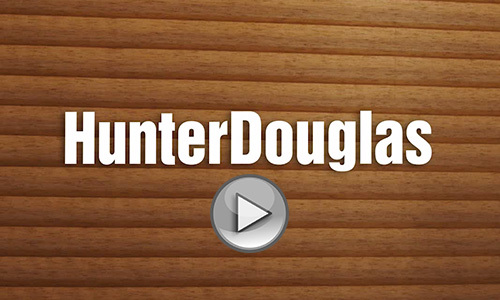 Lifetime Guarantee – As with all Hunter Douglas window fashions, Provenance Woven Wood Shades are backed by the exclusive Hunter Douglas Lifetime Guarantee.